The Central Coast’s not-for-profit (NFP) organisations are being invited to learn about the sector’s latest trends in ethics, culture and governance at a free forum on Monday 8 April 2019. Brainchild of Fortunity Chartered Accountants, the 2019 Central Coast Not-for-Profit Forum Series aims to provide assistance to the sector through seminars, educational workshops and support services. Following the success of last month’s event, the April forum on ‘Ethics, Culture and Governance’ will look at the principles that complement a not-for-profit’s good intentions, as well as what motivates good and bad culture in an organisation, and the current trends that are ensuring good governance in NFPs. This month’s guest speaker will be Adjunct Professor Martin Laverty, Chief Executive Officer of the Royal Flying Doctor Service of Australia. Professor Laverty currently serves as a member of the Deputy Prime Minister’s Aviation Industry Consultative Council. 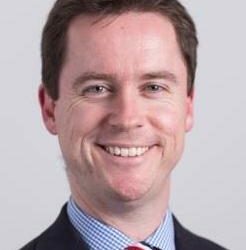 He is Board Director of the National Disability Insurance Agency, and the Deputy Chair of the Australian Charities and Not-for-Profit Commission (ACNC) Advisory Board. Professor Laverty’s presentation will discuss these important topics with reference to the three recent Royal Commissions: Institutional Responses to Child Sexual Abuse; Misconduct in the Banking, Superannuation and Financial Services Industry; and Aged Care Quality and Safety. Fortunity Business Development Manager, Yvette Wright, said that local not-for-profits could be assured that the information provided in the next Forum would assist them to build a more viable, sustainable organisation. “It can be difficult for our local not-for-profits to keep up with the latest information on ethics, culture and good governance, and we know that they are time-poor – this Forum will be well worth attending, as it will give our NFPs valuable insights from a seasoned expert in the field,” said Ms Wright. RDACC CEO and Director Regional Development, John Mouland, said he recognised the need for a strong and supportive network for our local community organisations to effectively continue the incredible work they do. “All of our local NFPs should have access to the most current advice and information, and to this end, I would strongly encourage representatives from these organisations to attend this topical forum,” said Mr Mouland. “Since its inception, the Series has featured a long list of leading experts from across the country, and the feedback we’ve received from each of the Forums has been overwhelmingly positive. •	The current trends that are ensuring good governance in not-for-profits. The 2019 Not-for-profit Forum Series is proudly supported by Regional Development Australia Central Coast, Fortunity Chartered Accounting and Financial Planning, Central Coast Surf Life Saving, Coast Shelter, Central Coast Leagues Club, Davistown RSL, Brisbane Water Legacy and Central Coast Community Transport.